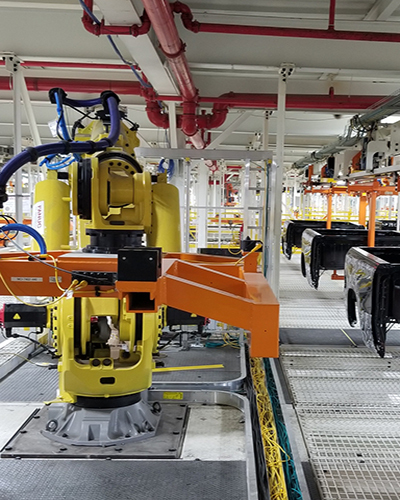 Automation & Robotics: As production rates increase, factories are becoming more automated. 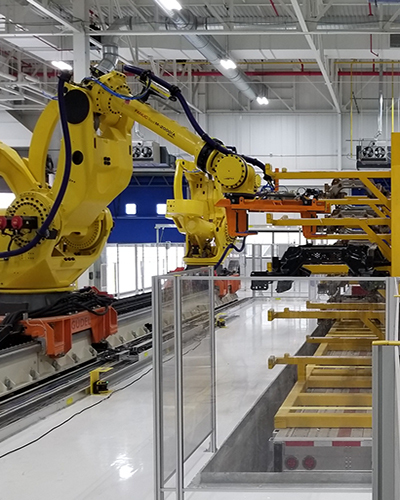 Automation & Robotics: As production rates increase, factories are becoming more automated. Safety issues and workers fatigue can be managed and hopefully eliminated. 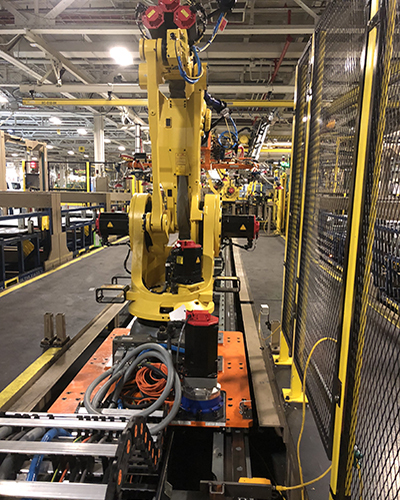 Automatic Systems, Inc. has developed common applications for factories by helping to automate the plants by adding automation and robot cells. Before selecting a type of automation it is important to consider several questions. What is the application process; Assembly, welding, painting, palletizing, sortation, other? What is the production rate; How fast does the operation time cycle need to be performed? What it the products size and weight; How heavy, how many pieces, how does the part need to be presented to the operation whether a person or a robot? What is the environment; clean or dirty, what temperature, welding, spray booth, dip tank? 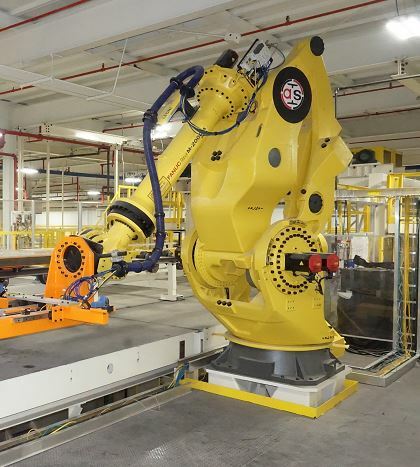 Automatic Systems, Inc. can help design, build and install your custom application automation and robot cells.